How do Balenciaga’s Crocs show the power of the right partner? Crocs may once have been the punchline of fashion jokes, but the footwear brand's collaboration with luxury fashion house Balenciaga – an $850 platform clog – demonstrates how the right partnership has the power to reshape opinion. We explore the science behind how smart associations can sell even the most undesirable of objects. Practical, comfy, unisex – and cool? Of course, criticisms of the collaboration were also made, with people growing wary of viral fashion. But the overwhelming sentiment from critics and consumers alike was that the venture is brave, bold, and all in good fun. It's not the first time an unlikely partnership has blossomed into branded romance. Hublot and Sang Bleu, Louis Vuitton and Supreme, Gucci and Dapper Dan – each collaboration demonstrated that if one brand has enough creative licence (like Balenciaga does), it can make anything desirable to its audience. 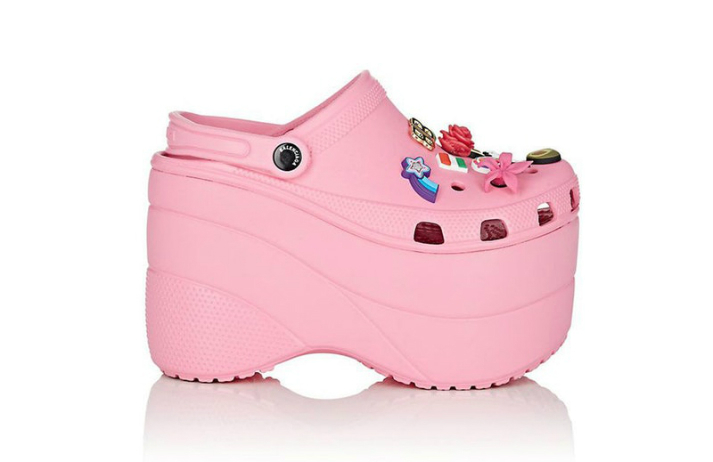 And this is especially true if the resulting combination is as unique as the Balenciaga Croc. While inconspicuous consumption is on the rise among older luxury buyers, it couldn’t be more different among the younger set. However, today’s sartorialists would rather wear a well-known label playfully than ‘invest’ in a serious piece. After all, the number one thing Gen Z shoppers look for in a product is the aesthetic, with 67% of them saying fashionable design is a key factor in any purchasing decision – a higher proportion than any other generation. “For them... luxury is something that demonstrates not wealth and status, but their own uniqueness – their experiences, their ideas, their story,” writes futurist Tracey Follows for Campaign. Matthew McEvoy is the deputy editor at Canvas8, which specialises in behavioural insights and consumer research. In a former life, he was a journalist working in the sports, music and lifestyle fields. Luxury fashion brand Balenciaga has announced it will be one of several brands to end the battle of sexes and combine its collections – at its shows at least. Balenciaga's decision to showcase both men's and women's collections together reflects the industry's blurring of traditional gendered lines. Thanks to their rarity and uniqueness, prized bootlegs can often cost more than the real thing. Gucci is no stranger to the bootleg’s appeal, which is why as part of its 2018 campaign, it teamed up with Dapper Dan – Harlem’s bootleg tailor to hip-hop royalty – who was once a luxury outsider. The resale market for streetwear has expanded from niche online communities to form a sizeable part of the $18 billion apparel resale industry. But who are the key players in this world? And what drives people to spend small fortunes to secure particular sneakers, t-shirts and hoodies? Once staunchly anti-social, with working-class roots, tattoos are experiencing a renaissance. A new collaboration between Swiss watchmaker Hublot and tattooist Maxime Buchi is the latest in counter-culture luxe, demonstrating that distinctions between high and low culture have all but disappeared.